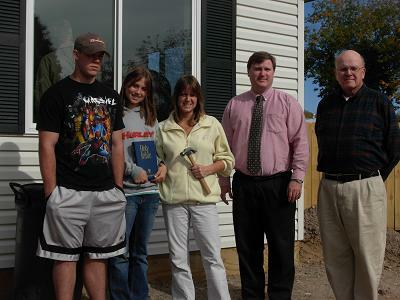 We are grateful for all the volunteers and donors who have made this homeownership dream a reality for Julie and her family. Thank you for partnering with the Westin family and North St. Louis County Habitat for Humanity in building houses...building hope...together! We would like to thank all the volunteers, led by volunteer construction supervisor Earl Zimmerman and project coordinator Rod McPeak for their valuable contributions in working with the Westin family to build this affordable home.